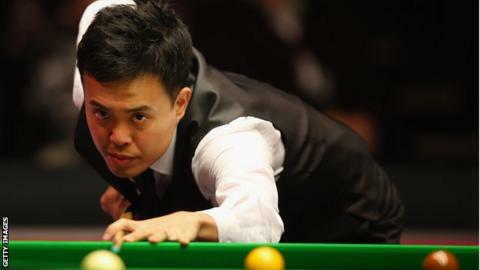 World number 14 Marco Fu made a maximum 147 break at the Gibraltar Open. The 37-year-old from Hong Kong compiled the fourth maximum of his career in the fifth frame of his 4-2 win over Sam Baird and will collect £3,500 of prize money if the score is not matched. Victory took him into round five of the nine-round tournament. "It feels great," said Fu, who made a 147 at the Masters in January. "It's every snooker player's dream to make a 147 in a professional tournament." Fu's maximum came five days after Neil Robertson became the first player to make a 147 break in a UK Championship final - the Australian earning £44,000 - as he beat Liang Wenbo 10-5.